Our contributor, Jessica Kirkland of Pen N’ Paper Flowers is back with another original art print, created exclusively for The Cake Blog readers. 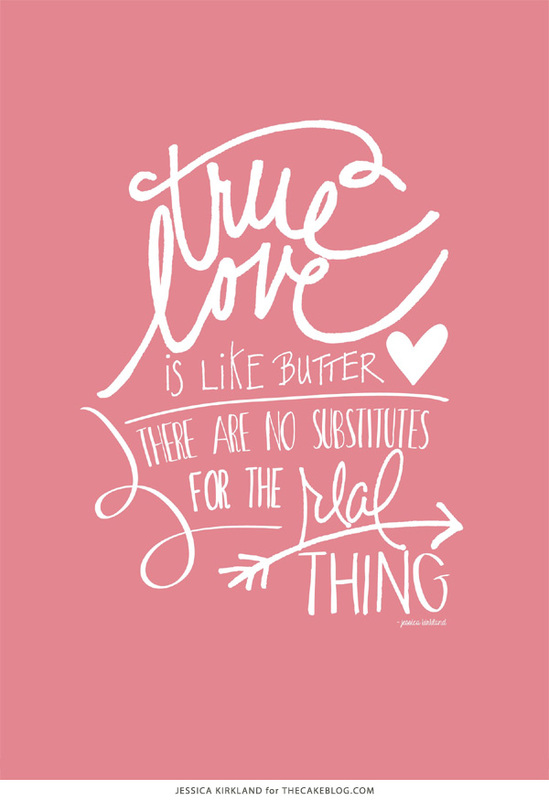 February’s kitchen print is perfect for Valentine’s Day and everyday! 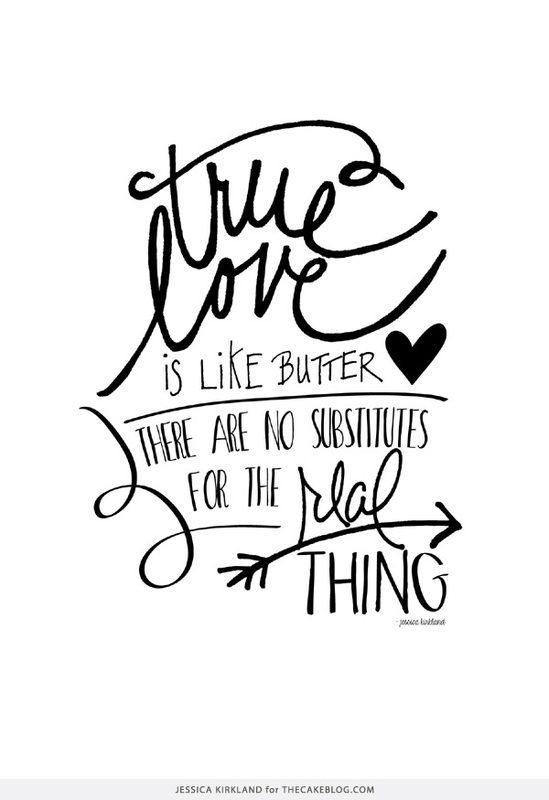 Love is in the air, friends…especially in the kitchens of all of the fabulous bakers out there! 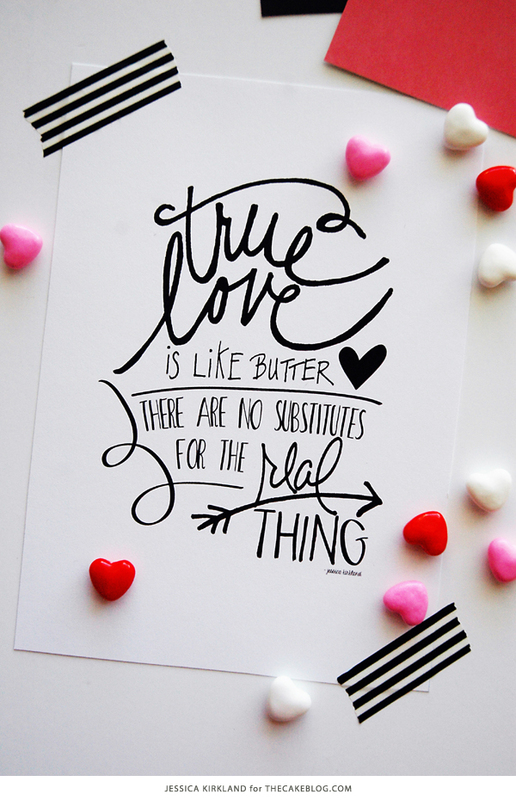 We know you put your heart and soul into each and every pretty dessert and tasty treat you whip up. 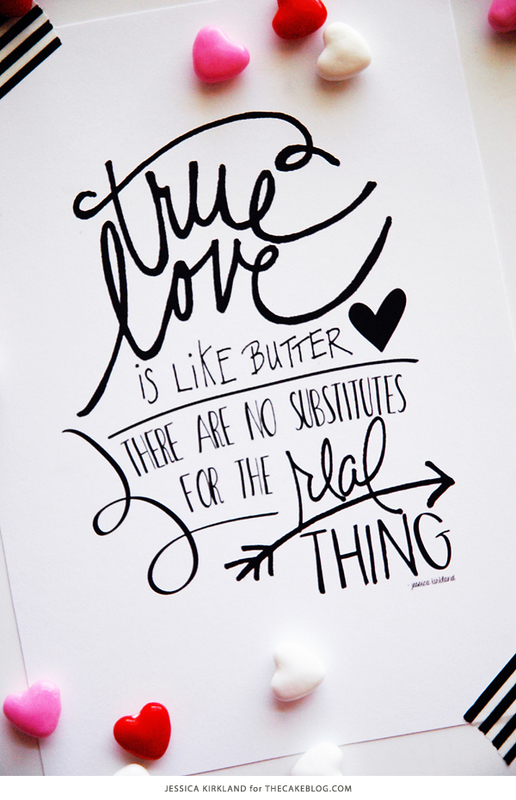 So we want to send a little love back your way with this month’s free original art print: Love Is Like Butter. I hope you LOVE it! There are three print options available: black & white, chalkboard and strawberry ice. Pick your favorite, click the link and print it out! 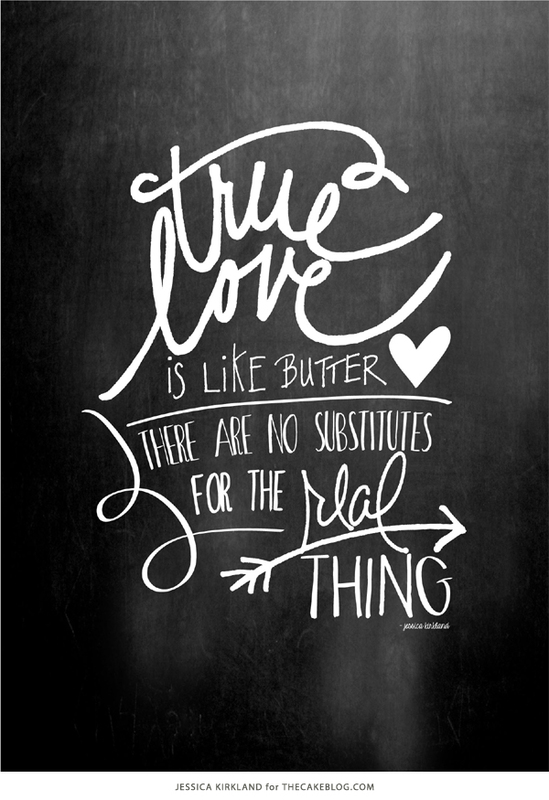 There really is no substitute for the real thing…especially when it comes to love and butter. Am I right? Thank you so much for the free printable. I love them! I print them out and hang them. Incredible talent. Thanks again. 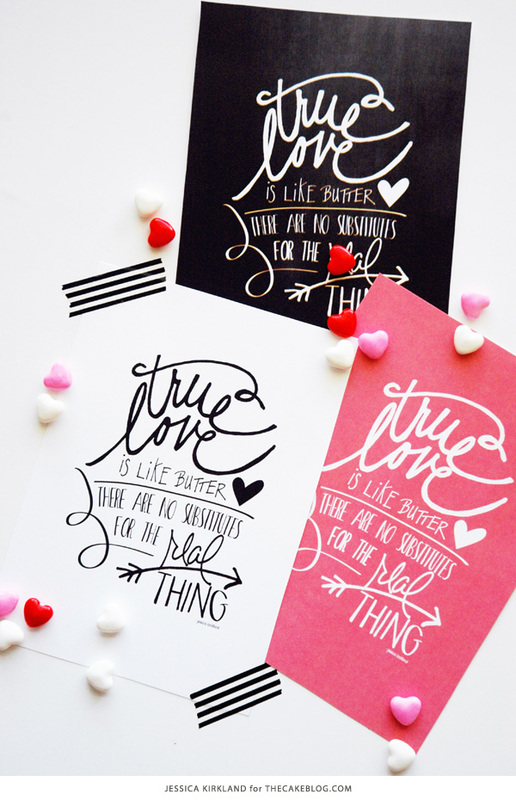 Such cute printables, it gave my bulletin board in my craft desk area such a sweet lift. Thank you!